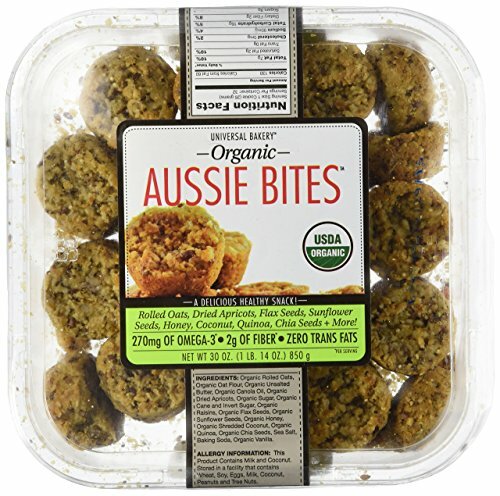 Organic aussie bites, 270 mg of omega-3 per serving. Made with rolled oats, dried apricots, flax seeds, sunflower seeds, honey, quinoa, chia seeds + more. Manufacturer: Best Express Foods, Inc. Publisher: Best Express Foods, Inc. Studio: Best Express Foods, Inc. If you have any questions about this product by Universal Bakery, contact us by completing and submitting the form below. If you are looking for a specif part number, please include it with your message.